Home » Gratitude » What is Gratitude and Why is It So Important? What is Gratitude and Why is It So Important? There is a variety of things that can conjure positive feelings of appreciation or gratitude. A well thought out “Thank you”, instead of a half-hearted, “Thanks,” often leaves people feeling pretty good. Perhaps there was a moment that you can reflect on, that involved strong feelings of gratitude? Gratitude is an emotion similar to appreciation that most people are familiar with. 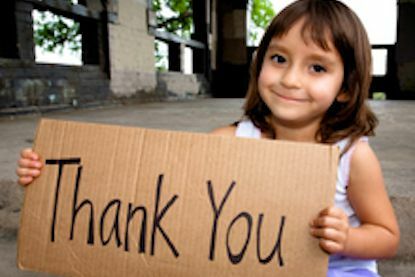 What many people do not know is that gratitude plays an important role in several historical movements and that gratitude is now becoming an important part of psychology research, and especially positive psychology research. This article will place gratitude in a historical context and highlight the role that gratitude plays in modern psychological research. Before we can get to any of that, though, it is important to define what we are talking about when we discuss gratitude. What is the Antonym of Gratitude? It has been defined by many people throughout history. Having different definitions for a word is not inherently wrong, but, as a science that has to have measurable effects, positive psychology defines gratitude it in a way that shows that the effects of gratitude can be measured. This definition is important because it brings a social element into the definition of gratitude. The sentiments that positive psychology researchers would probably agree with the most are acknowledgment, appreciativeness, and thankfulness. The sentiment that positive psychology researchers would probably agree with the most is thanklessness. To use one of our definitions from above, the opposite of gratitude would be not feeling appreciative after being the beneficiary of an altruistic act. First comes the acknowledgment of goodness in one’s life. In a state of gratitude, we say yes to life. We affirm that all in all, life is good, and has elements that make it not just worth living, but rich in texture and detail. The acknowledgment that we have received something gratifies us, both by its presence and by the effort the giver put into choosing it. Second, gratitude is recognizing that some of the sources of this goodness lie outside the self. At this stage, the object of gratitude is other-directed; one can be grateful to other people, to animals, and to the world, but not to oneself. At this stage, we recognize not only the goodness in our lives, but who is to thank for it, and who has made sacrifices so that we could be happy. The two stages of gratitude comprise the recognition first of the goodness in our lives, and then of the source of that goodness that lies outside of ourselves. By this process, we recognize everything and everyone that makes us who we are in our best moments. People can use gratitude to form new social relations or to build upon and make current ones better. Acts of gratitude can be used to apologize, make amends or help solve other problems people may face. Alternatively, people may feel gracious because it can be an intrinsically rewarding process. Simply being grateful for being alive is a great way to motivate oneself to seize the day. The idea that tomorrow is not guaranteed is a strong motivator for some people. Gratitude is a selfless act. Gratitude acts are done unconditionally to show to people that they are appreciated, not because people are looking for something in return; however, that is not to say that people do not return the favor. Gratitude can be contagious, in a good way. One concept that fits well into the blueprint of gratitude is catharsis. Catharsis is the process in which an individual releases strong emotions. For example, after a stressful or traumatic event, crying provides a means for such a strong release; thus, rendering the activity cathartic. It is in a similar fashion that catharsis works with gratitude. To illustrate this, consider the following. The guilt associated with failing to meet obligations may cause a person to show gratitude to another whom they have let down, in an attempt to release that guilt. The acts following that event are meant to show the deep appreciation that the friends have for each other. Additionally, in a more solitary way, possessions left from passed loved ones may provide a sense of serenity that enables the new owner to reflect with gratitude on that object. The use of gratitude serves as an agent of catharsis, and both parties feel satisfied in the end. Which is a pretty good segue into the other reason that gratitude works. The other possible explanation of how gratitude functions is reciprocity. Reciprocity, a concept that originated from social psychology, is about the exchanging of actions. In regard to gratitude, it is the exchange of positive emotion. Someone performs an act of gratitude for another person, and in turn, that person may be motivated to do something gracious for the former person or continue the favor for a stranger. Though paying it forward does not obligate you to reciprocate if you cannot, but it does spread positivity via gratitude. Gratitude is regarded as either a trait (dispositional) or state. As a trait an individual practices gratitude as part of their daily life (McCullough, Emmons, & Tsang, 2002), gratitude is also considered a character strength, which if not among the top character strengths of an individual, can be developed (Peterson, & Seligman, 2004). The emotion a person experiences from another individual’s expression of gratitude is referred to as state (Watkins, Van Gelder, & Frias, 2009). While the importance of gratitude was not recognized until recently by the field of psychology, ancient and not-so-ancient philosophers such as Cicero, Seneca, and Adam Smith preached its importance (Fox et al., 2015; McCullough et al., 2002). Cicero and Seneca thought of gratitude as a crucially important virtue which was foundational to a successful civilization. This shows that for at least 2,000 years, intellectuals have been considering the important role gratitude plays in daily life. To be clear, it is not just ancient and historical philosophers who were interested in gratitude as a virtue. In the last few years alone there have been several papers published dealing with gratitude from either a hybrid psychological-philosophical perspective or from an outright philosophical perspective (Jackson, 2016; Kristjansson, 2015; Moran, 2016; Morgan et al., 2017). Interestingly enough, there has even recently been a paper arguing that Jean-Paul Sartre’s beliefs are in line with the modern positive psychology movement, using the philosopher’s interest in gratitude as a character strength as the main point of evidence (Quackenbush et al., 2016). The fact that the idea of gratitude has been on the minds of philosophers for millennia combined with the fact that this interest does not seem to be diminishing with time points to the allure of gratitude as an important human emotion. It is unsurprising that psychology researchers eventually realized that gratitude should be studied. Before they did, though, another group of thinkers long preached the importance of gratitude: religious and spiritual leaders. Just as many philosophers historically recognized the importance of gratitude, so have many religious and spiritual movements, like (Theravāda) Buddhism, Christianity, Islam, and Judaism (Berkwitz, 2003; Emmons & Crumpler, 2000). It should be noted, however, that many religious discussions of gratitude in the past have been of the prescriptive sort, focusing on the importance of being grateful to a higher power. Christianity, Islam, and Judaism, in particular, stressed the importance of gratitude for the path to a good life. To highlight just how important gratitude is to these religions, we will highlight some specific examples. In Judaism, followers of Yahweh are encouraged to start every day by being grateful for waking up again (Emmons & Crumpler, 2000). When it comes to Christianity, some psychologists who deal with religion and morality claim that gratitude to God is a fundamental part of Christianity that serves an important role by forging a common bond between all Christians (Roberts, 1991). As for Islam, the purpose of each of the five daily prayers is not to ask Allah for anything, but to show gratitude towards Allah (Emmons & Crumpler, 2000). This shows that gratitude not only plays a major role in these three religions but that gratitude plays a uniquely crucial role in each religion. In historical writings in Theravāda Buddhism, gratitude plays an important role in connecting practitioners to their pasts (Berkwitz, 2003). In the present day, gratitude (in concert with the concept of karma) is a driving force behind philanthropic and service Buddhism in China (Kuah-Pearce, 2014). This shows that like Christianity, Islam, and Judaism, gratitude plays an important and unique role in Buddhism both historically and presently. Just as philosophical discussions of gratitude are not consigned to history, neither are religious discussions of gratitude. Several recent studies have looked at the relationship between religious gratitude (such as gratitude to a higher power) and well-being (Kraus et al., 2015; Krause & Hayward, 2015; Van Cappellen et al., 2016). 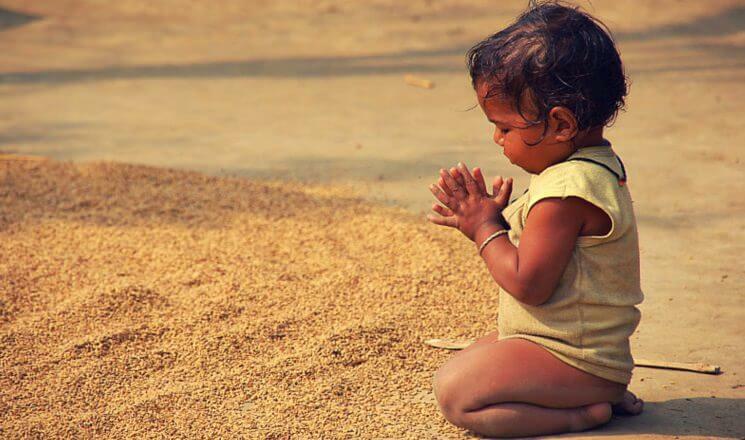 The fact that gratitude has long been considered an important aspect of religion and continues to be considered as such indicates that gratitude plays an immense role in faith and spirituality. As discussed above, philosophers and religious and spiritual leaders have long recognized the importance of gratitude. More recently, (positive) psychology researchers have also started recognizing the importance of gratitude, chief among them Robert Emmons. Emmons has authored several papers dealing with the psychology of gratitude, showing (among other things) that being more grateful can lead to increased levels of well-being (Emmons & Crumpler, 2000). Some of Emmons’s work has also dealt specifically with gratitude in a religious setting, showing that feeling grateful towards a higher power may even indirectly lead to increased physical health (Krause et al., 2015). Dr. Emmons and Dr. McCullough have done extensive research into the effects of gratitude practices. In one study in 2003 they found that after 10 weeks, the people who had focused on gratitude in their lives showed significantly more optimism in many areas of their lives, including health and exercise. Toepfer, Cichy, and Peters (2011) conducted a study where people were asked to write and deliver a letter to someone for whom they were grateful. Right after the task their the happiness levels and life satisfaction were dramatically impacted even weeks later. In the pursuit of happiness and life satisfaction, gratitude is showing a direct and long-lasting effect thus the more gratitude we experience the happier our lives will be. Self-Control helps us to be disciplined and focused and to persist with what is subjectively the most important for our long-term well-being. At some point we all learn that even though we may want that big piece of chocolate cake with sugary frosting and a big glass of ice cold milk at 10 pm, making that choice is going to have consequences. Self-control comes into play in these moments and hopefully, we make the better choice for our long-term health, financial future, and well-being. Just sit back and imagine the applications of this research. The potential for a happier and healthier world may lie in a positive emotion as simple as gratitude. Being thankful can give us the resolve we need to make better choices in our lives and for the ones we love in the most significant ways. Without our physical health, we cannot truly experience and enjoy all that life has to offer. Here, yet again gratitude it playing a valuable role in influencing one of our most fundamental human needs, that of health. Recent research performed in 2015 showed that patients with heart failure, who completed gratitude journals showed reduced inflammation, improved sleep, and better moods thus dramatically reducing their symptoms of heart failure after only 8 weeks. We all know there is a link between the mind and body and here is gratitude has a double benefit! The feeling of appreciation when we are grateful helps us to have healthier minds and with that healthier bodies. It seems that gratitude it opening yet another door into the world of health. What more could we ask for? In researching Gratitude, Thankfulness, and Appreciation over the last 2 decades, I feel very confident in saying that this practice significantly increases our overall well-being, happiness, and health and the evidence is there to prove it. Aside from increasing well-being, psychology research has identified several other positive outcomes that are a result of practicing gratitude. One of these positive outcomes is that practicing gratitude (in this case, specifically gratitude towards a higher power) can reduce levels of stress (Krause, 2006). Another is that practicing gratitude can decrease levels of depression and anxiety (Kashdan & Breen, 2007). Of course, having lower levels of stress, depression, and anxiety may aid in having higher levels of well-being. 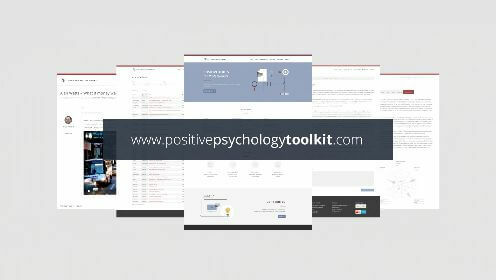 If a major objective of positive psychology is to increase levels of well-being, these findings show the value of gratitude in positive psychology investigations. Aside from general psychological investigations into gratitude, there has also been some psychology research specifically looking at the role of gratitude in sports. For example, there have recently been a few studies from Lung Hung Chen looking at how an athlete’s level of gratitude for their success can influence their levels of well-being (Chen, 2013; Chen & Wu, 2014). Chen found that adolescent athletes who are more grateful in life are more satisfied with their lives and that higher levels of gratitude in athletes can also lead to higher levels of self-esteem long-term. On the other side of athletics, there have also been studies looking at how levels of gratitude affect sports fans (Kim & Jeong, 2015; Kim et al., 2010). These studies claim that sports organizations looking to make their fans happy should concern themselves with their fans’ levels of gratitude. The fact that research is being done on gratitude not just in athletes but also in fans shows that researchers believe gratitude is an important aspect of athletics. In the clip, McKeever discusses how gratitude exercises can help prepare her athletes for a productive practice and foster cohesion within a team. She also discusses the importance of leading by example and making sure her athletes understand where she is coming from before they can start committing themselves to these gratitude exercises. While McKeever is talking about gratitude in the context of a swim team, the lessons she shares can be useful for any sort of leader, whether it is a coach, teacher, or parent. Aside from psychological investigations into gratitude in athletics, research into gratitude is being further modernized by incorporating research methods from neuroscience. One such study measured the brain’s response to feelings of gratitude with functional magnetic resonance imaging (fMRI) (Fox et al., 2015). These researchers elicited feelings of gratitude in their participants and found that gratitude was associated with activity in areas of the brain that deal with morality, reward, and value judgment. The researchers also claim that their findings show that gratitude is a social emotion. These neural findings are interesting for a few reasons. For one, the fact that gratitude is associated with morality and value judgment helps explain why philosophical and religious thinkers have been (and continue to be) so interested in gratitude for millennia. The idea that gratitude is an important social emotion also validates the above-mentioned idea by Robert Roberts (1991) that gratitude forges an important bond between followers of Christianity, as well as the ancient philosophical idea that gratitude is a foundational emotion for the success of the society. This collection of research directions indicates that gratitude is as interesting to modern psychologists as it has been to philosophers and religious thinkers in the past. On top of that, compared to how long gratitude has historically been discussed by intellectuals, these psychological investigations are still in their infancy. It will be interesting to see what is in store for future psychological investigations into gratitude. In a study by McCraty and colleagues (1998), 45 adults were taught to “cultivate appreciation and other positive emotions”. The results of this study showed that there was a mean 23% reduction in the stress hormone cortisol after the intervention period. Moreover, during the use of the techniques, 80% of the participants exhibited an increased coherence in heart rate variability patterns, indicating reduced stress. In other words, these findings suggest that people with an “attitude of gratitude” experience lower levels of stress. First, think of someone who has done something important and wonderful for you, yet who you feel you have not properly thanked. Next, reflect on the benefits you received from this person, and write a letter expressing your gratitude for all they have done for you. Finally, arrange to deliver the letter personally, and spend some time with this person talking about what you wrote. The results showed that participants who engaged in the letter-writing exercise reported more happiness for one month after the intervention compared to a control group. Expressing gratitude not only helps you to appreciate what you’ve received in life, it also helps you to feel that you’ve given something back to those who helped you. 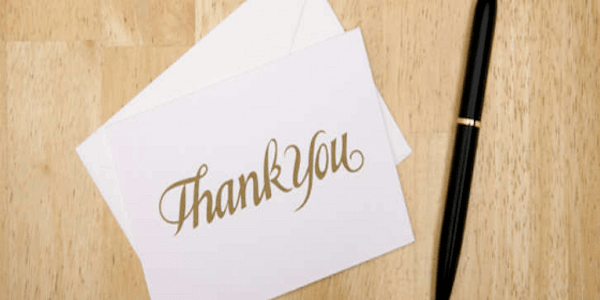 Hand-delivering a letter of thanks absolves you of any residual guilt you might feel for not having thanked this person previously, and fosters a sincere, heartfelt interaction that can really strengthen your relationship. Gratitude can be observed at an individual level, with its subsequent effects, or at a greater social level. Research has shown that the practice of gratitude can create a greater social circle of good. The recipient of gratitude may not reciprocate directly back, but in turn, may lend a favor to a third party, effectively expanding a network of good (Chang, Lin, & Chen, 2011). This research supports Fredrickson’s (2004a,b) broaden and build theory, which posits expanding social networks, to build better social support. Effectively gratitude can, therefore, create a social network which can help individuals both advance (career, goals) and better cope with life. In a romantic relationship, both partners take actions to please the other one. This can elicit several emotions such as gratitude and indebtedness. Algoe et al. (2010) looked into these two emotions that are characterized as an emotional response to a costly and intentionally provided benefit. Also, gratitude and indebtedness are associated with the intention to repay for the received benefit. Gratitude leads to an internal motivation, and indebtedness to an external motivation to reciprocate. Algoe et al. (2010) asked sixty-seven couples to keep a diary for two weeks. The participants had to record their own and their partner’s thoughtful actions, their emotions, and their relationship well-being. By coupling the data of the two partners, they were able to see whether a thoughtful action of the participant was recognized by the partner and if he or she acknowledged the action accordingly. Algoe et al. (2010) found that a partner’s thoughtful action predicted an increase in feelings of gratitude and indebtedness. However, only feeling gratitude, not indebtedness, on one day predicted an increase in relationship well-being of the participant the next day. When these feelings of gratitude are noticed by the partner, the relationship well-being of the partner also increases. It is possible to do the same exercise from the research with couples who want to improve their relationship. Let both partners keep a diary for a week or two and discuss the answers in the next consult. Did they recognize and acknowledge what their partner did for them? How did it make them feel? By practicing the partners can become more aware of the thoughtful actions of their partner and respond to them with gratitude. 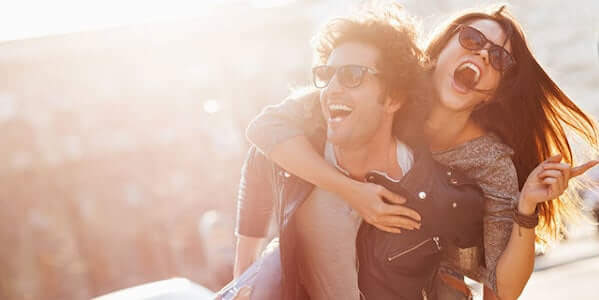 This exercise can induce an upward spiral and improve the relationship well-being; it can be a powerful gratitude interv-gratitudeention for partners in a romantic relationship. This very evening, before you go to sleep, simply think of the positive things that happened during the day; things that you are grateful for. Take a moment to do this every night. It’s not a bad idea to keep a gratitude journal to reflect on later. If you have children, take a moment with them before bed-time to ask them to think about something they’re grateful for themselves. Don’t forget to set a good example by sharing what you’re grateful for! If you feel that you have neglected to thank someone for being especially kind or helpful, don’t focus on feeling bad about it. Just write them a letter explaining your gratitude and deliver it in person, if possible. If you can’t deliver the letter in person, send it via post or email; whatever you do, make sure you make the effort to reach out to the people who have helped you along your path. 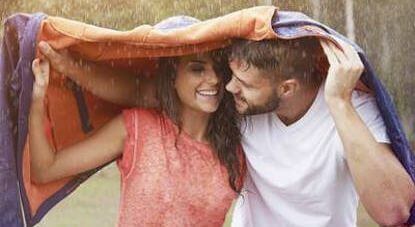 Not only will this strengthen your relationships, it will actually make you a happier person. Gratitude is a human emotion that can be most simply defined as appreciation or acknowledgment of an altruistic act. Historically, philosophers have suggested that gratitude is one of the most important human emotions for the success of the society, and religious and spiritual thinkers have suggested that it is a crucial aspect of religious and spiritual life. 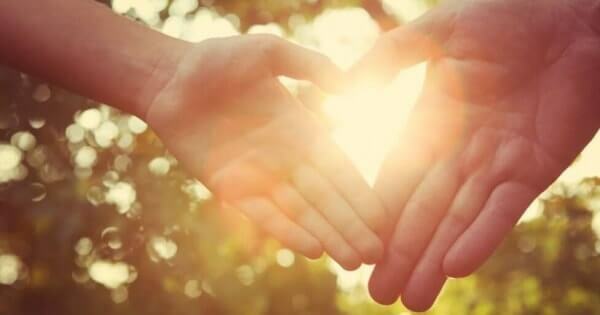 Modern psychology research confirms that gratitude is an important social emotion that can benefit the lives of religious people who practice gratitude, and that practicing gratitude can also benefit non-religious people. For the specific purposes of positive psychology, gratitude is a powerful tool for increasing well-being in all sorts of settings. The benefits of practicing gratitude are also not tied to any sort of specific pathology, which is also in line with the values of positive psychology research. Investigations into the power of gratitude should continue being an important part of future research directions in positive psychology. The most exciting aspect of all these benefits of gratitude is that gratitude costs absolutely nothing to practice and that anyone can easily be grateful for their lives. There are all sorts of ways to practice gratitude, and it can be practiced in any setting of daily life, from home to school to work and even to prisons and retirement homes. Next time you have a free moment, try practicing some gratitude. You might just be surprised by the benefits it brings you. Bartlett, M. Y., & DeSteno, D. (2006). Gratitude and prosocial behavior helping when it costs you. Psychological science, 17(4), 319-325. Kim, Y.K., Smith, R., James, J.D. (2010). The role of gratitude in sponsorship: the case of participant sports. International Journal of Sports Marketing & Sponsorship 12(1), 53-75. McCullough, M. E., Tsang, J. -A., & Emmons, R. A. (2004). Gratitude in intermediate affective terrain: Links of grateful moods to individual differences and daily emotional experience. Journal of Personality and Social Psychology, 86, 295–309. McCraty, R., Barrios-Choplin, B., Rozman, D. , Atkinson, M. & Watkins, A. (1998). The impact of a new emotional self-management program on stress, emotions, heart rate variability, DHEA and cortisol. Integrative Physiological & Behavioral Science, 32, 151-70. Popova, Maria. "A Simple Exercise to Increase Well-Being and Lower Depression from Martin Seligman, Founding Father of Positive Psychology." Brain Pickings RSS. N.p., n.d. Web. 22 Dec. 2014. Roberts, R.C. (1991). 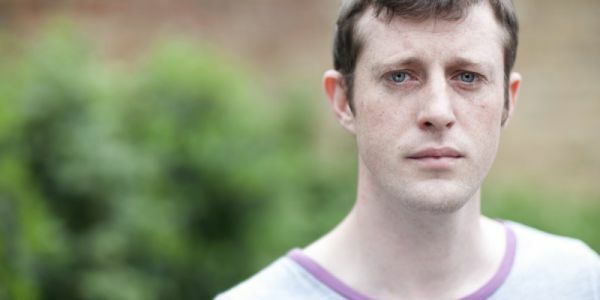 Mental-Health and the Virtues of Community-Christian Reflections on Contextual Therapy. Journal of Psychology and Theology 19(4), 319-333. Sansone, R.A., Sansone, L.A. (2010). Gratitude and Well Being. Psychiatry 7(11), 18-22. Seligman, M. E. P., Steen, T. T., Park, N., & Peterson, C. (2005). 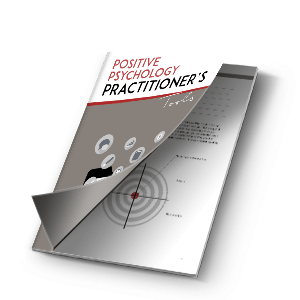 Positive psychology progress: Empirical validation of interventions. American Psychologist, 60, 410-421. Wood, A. M., Joseph, S., & Maltby, J. (2008). Gratitude uniquely predicts satisfaction with life: Incremental validity above the domains and facets of the five factor model. Personality and Individual Differences, 45, 49–54. Thank you so much for share this article about gratitude. I loved this site! Thank you so much for creating such wonderful article on nearer to Godly word is “Gratitude”!! You mentioning various views on Gratitude in not only simple ways but some close to heart touching language!! So deeply appreciation for everyone, forever…!!!! Gratitude is the key that opens any door. It’s a powerful practice. Thank you! such a great article, really puts things into perspective. although I’ve been using forms of gratitude in my session and workshops as an luminary coach, I am now able to obtain more results by my clients, able show to by example, that being grateful is an impulse to a better way of living and quality of life. That’s great Roy ? Thank you so much for your comment. Pingback:	Can You Train Your Mind for Happiness? This article is particularly fascinating because gratitude is such a simple and yet refreshing concept. It is interesting to think that something so easy as saying “thank you” can make such a profound difference to not only yourself and your own happiness but someone else’s as well. Saying thanks is often forgotten or pushed aside due to other more pressing matters. I have often times found myself putting off or avoiding things such as thank you cards around the holidays or my birthday. However, after sitting down, taking the time to reflect on what has been given to me, and responding with genuine gratitude, I find myself feeling refreshed with a new sense of purpose and happiness. In addition to what was mentioned in this article, I believe feeling and showing gratitude is a humbling experience. By feeling grateful, we are admitting to ourselves that we can’t just assume we deserve certain pleasures in life. Instead we have to work for what have and be grateful for what comes our way. Most yoga and meditation practices focus on gratitude because it breaks down our walls and helps to remind us that we are all imperfectly human and that is ok. We are all remarkably quite similar. Feeling content and satisfied with what we have and who we are is important for us to grow in a positive direction. Additionally, reflecting on what makes life sparkle creates space for more positives to come in. The “Going Forward” section in this article relates to this idea by showing how gratitude can remove the obstacles that hold us back such as stress. I see two options in life. Regress backwards, and feel continuously cheated by the world or move forward, and utilize your strengths by focusing on what you have been given by the world. Wow – thank you for sharing such great insights with us Erin! First of all, thank you for such a wonderful and informative article! Few question crossed my mind while I was thinking about different ways of showing gratitude. First – how about cultural differences? For instance, for a person from a more reserved country having a Facebook wall filled with gratefulness could be quite overwhelming and maybe even annoying. What do you think? In my opinion,then face-to-face contact does the best job, ’cause it creates experience, it makes you really feel and spread that to your loved ones. However, it is interesting to look up about gratitude in different cultures and how to express it (definitely there are differences between eastern and western countries, right?). Next, I completely agree with the notion that there is a lack of attention given to the positive emotions, my other question is how to find the equilibrium between being positive and becoming a fanatic of positivism (we all know that when something is too much it’s not good). And well, maybe showing gratitude for negative things is also not a bad idea? I mean we all face challenges from which we learn and showing that to others could be encouraging, i.e. knowing that a path to feeling and expressing not only gratitude, but other positive emotions too, is filled with different colours enriches your life with variety and different experiences. Gratitude enables individuals to live in the present moment with good wishes and good feelings for self and others, having positive outlook towards life. It also helps in secreting good hormones in the brain, which in turn helps to maintain the well-being of psychological, biological and social health. Oh, yeah, That’s also very true! One of the hormones playing a part gratitude is no other then the well known Oxytocin, the famous love and trust drug. Two other reasons I have recently learned that make gratitude such a positive feeling, is how gratitude helps us to build better relationships with present or future acquaintances and having a deeper view on their actions by putting more weight on the what the gesture meant and the though it may have behind it, and less on the gesture itself. Secondly, true gratitude has a small, yet important negative self-feeling element to it. Though the name of this trait might look out of context, negative self-feeling can actually make us more humble and appreciative, and humility in its turn has its own social benefits. Thank you so much for the information in this piece! It was fascinating to read. I really do think gratitude is one of the most over looked aspects in our life, especially when most of us (me included) don’t conduct any religious lifestyle and have no practices that refer that subject. There’s a “Tag Challenge” gaining more and more popularity on FaceBook, and other media channels, called the “Happiness Challenge”- where you post daily at least 3 thing you are grateful for in your life for at least a week, or – if you really are committed to making an actual change in your life – a full 100 days! I can tell from own experience and from friends that had done it too, how it can change your view on life – how having to find as little as 3 things you are grateful for that day lifts the focus of the negative parts and puts it’s on the positives, just because you are actively looking for whats good in life, not leaving yourself much time to dwell on what isn’t. It really helps you putting your life into some perspective, stop taking all the good in life for granted, and you might even discover new positive aspects of your day! And the best part – after a while, you make it a habit! To me personaly, one of the best things gratitude gave me was a chance to lose my cool. People today are so afraid to show authentic emotions- be it to a friend or family member, and even more so, to a stranger. Doing a simple act to show gratitude, was the first step for me towards opening up. If you haven’t yet, but this interests you, I advise everyone to take a part in this “challenge”. Not only will it cultivate positivity in your life, you will also be spreading the word around! One my favorite things about this challenge is how my tweeter and facebook page became so brightened up as more and more people joined me, and reading their thankful messages to the world was a pleasure on its own!